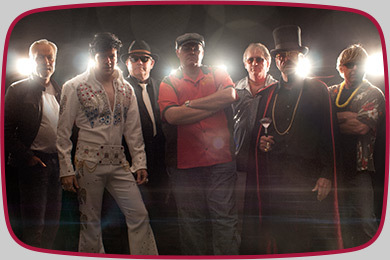 This dynamic showband performs your favorite Rock ‘N’ Roll hits from the 50s, 60s, 70s, and 80s and also shares the electrifying talents of rock stars from the past. You can swivel your hips with Elvis, find a pretty woman with Roy, surf with the Beach Boys, twist and shout with the Beatles, sing the blues with the Blues Brothers, go to the YMCA with the Village People, and much much more. 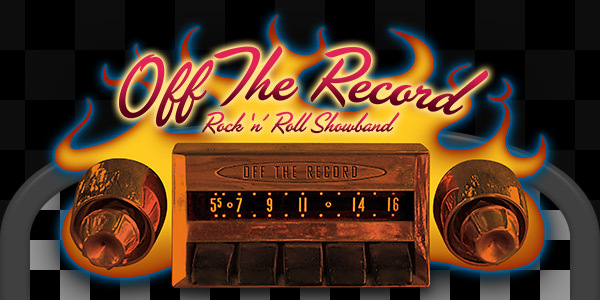 Off The Record gives their audiences a visual time warp with costumes and dancing. Having performed in the Austin area since 1994, they leave their audiences begging for more and are consistently booked for additional performances. So go ahead and dance the night away at your next celebration with Off The Record.